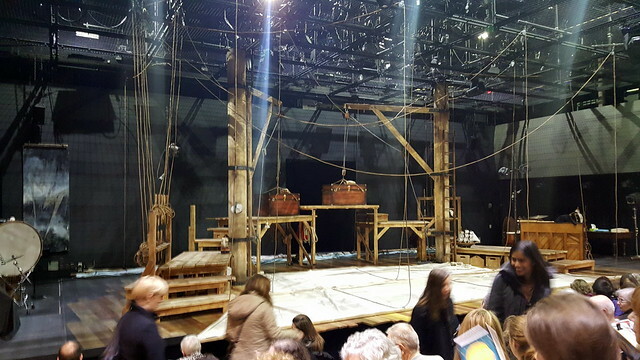 I had a chance this weekend to check out the brand new BMO Theatre Centre and watch the newest Arts Club play Peter and the Starcatcher. 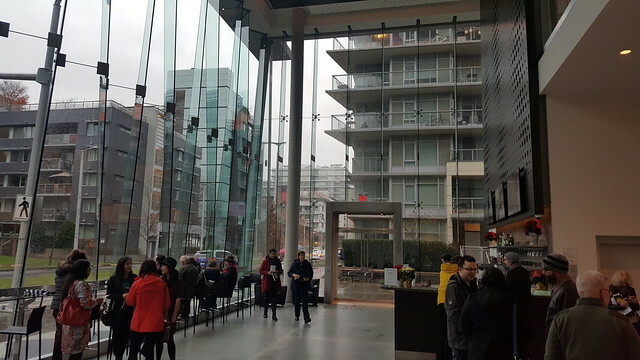 It was excellent – one of the best plays I’ve seen in Vancouver. I highly recommend checking it out if you can get tickets (it has been selling out). The theatre is conveniently located across the street from our apartment – which was much appreciated during Saturday’s winter storm downpour. I’ve been watching the construction crews scramble to get the theatre ready on time. They barely made it, but the theatre looks great, especially the stage. For Peter and the Starcatchers, the wings are open and you can watch the actors using drums, a giant sheet of metal, and other props to create the show’s sound effects. Long ropes are creatively used for many of the visual effects, standing in for a boxing ring, the mouth of an alligator, and the waves of the sea. The show has some sentimental moments, but most of it is light-hearted and extremely funny. The whole cast is great and there are some fabulous voices and catchy songs. The actress who plays Captain Black Stache was a real standout, mixing physical comedy, witty lines, and great comedic timing. I’d say more, but I don’t want to spoil your experience. Go check it out. You won’t be disappointed. The first and last photo are from the Arts Club website. 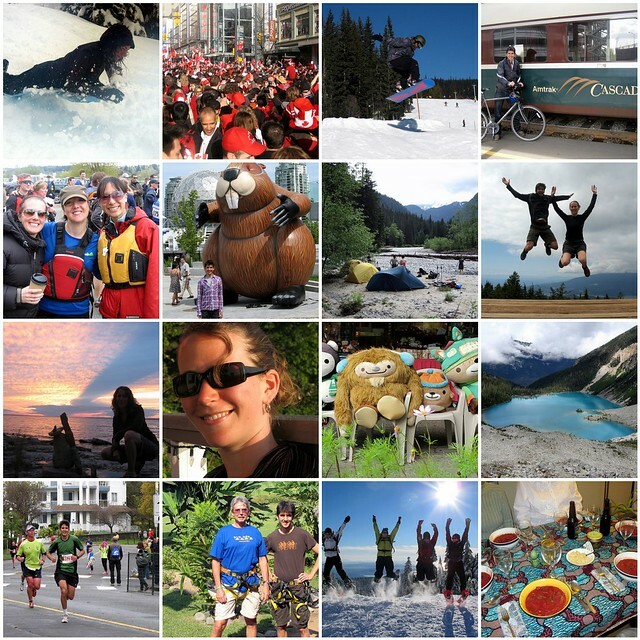 Another year is over, and it is time for me to write my year-in-review retrospective. I’m sorry for not writing one last year. I didn’t think anyone actually read it until I starting receiving complaints about its absence. Pick of the Fringe has been announced. You can now look forward to extra showings of Wanderlust, Dr. Horrible: Sing Along Blog, 13, Lucky 9, Freud Vs. His Ego, and Antoine Feval from Thursday to Sunday. I really want to see Freud vs His Ego, but I’m not sure we’ll have time on Sunday. We tried to see Freud vs His Ego at the Fringe today, but when we got to Granville Island there was a huge lineup for tickets. We knew it was going to be close but thought our chances were good considering there were dozens of people behind us in line. Unfortunately, I was the first person in line who didn’t get a ticket. Luckily, we had a great backup plan and managed to get tickets to Die Roten Punkte – Kunst Rock. 3 more quick reviews to add to my previous Vancouver Fringe Reviews. I’m so excited that the Vancouver Fringe Festival is back. I’ve seen 3 shows so far, and have a bunch more on my wishlist. Antoine Feval – I think we might watch this instead of Raccoonery.